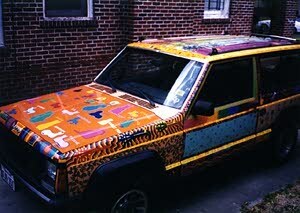 Appropriately named "Color Wheels," this late model Jeep created by art teacher Susan Wingfield is all about color. Susan explains, "I wanted something colorful to drive. I asked my students for wild, weird, and colorful designs. I painted the designs on my car along with the name of each student. 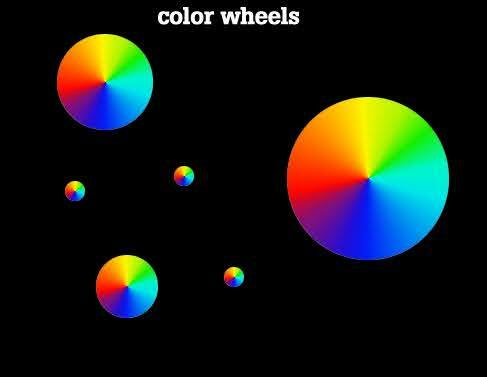 Color Wheels took about 500 hours to paint, and the largest brush I used was 1/4 inch." Color Wheels appeared in The Orange Show's Art Car Parade for a couple of years. When it came time to touch up the paint job, Susan decided to change the theme. Now, Color Wheels is named "Elmer" and features a fully illustrated children's story with the same name. 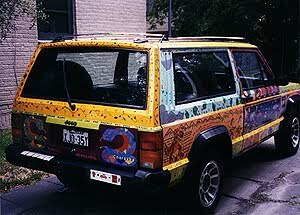 See what this car looks like now!